3 secrets to increase your sales by 212%, without sounding like a pushy sales person. This FREE training event will give you invaluable insight and techniques to jump start your sales and ramp up your profit. Why are we holding a free full day workshop? It’s our one time this year to honour our commitment to “giving back”. This is the only time Trish and Craig will have a free full day event in Auckland and Wellington this year. We know we can help increase your sales and profits and reduce your business time. If you like what we offer, we know you may consider us as an ongoing partner with your business. Simple. What would your business look like if you and your team could virtually read your customer’s mind every time? How would it feel to learn exactly what is holding you back from making more money? Trish Love is an internationally published author through Morgan James publishing, New York. Trish is a Money Mindset and Wealth Guru, specialising in business growth and financial intelligence (your beliefs and actions about money). 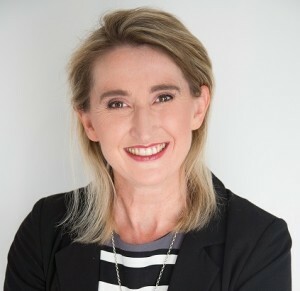 An entertaining, international keynote speaker, seminar leader, chartered accountant, business owner and a practical, commercially focused virtual CFO (Chief Financial Officer), Trish has worked with and interviewed stellar entrepreneurs, including Steve Wozniak, Co-Founder of Apple on stage in USA. Trish is sharing her 25+ years’ experience to give you and your business the unfair advantage, using innovative strategies to change your mind-set and dramatically shift your results! Traditional sales training as we know it, simply doesn’t work. Times have changed and we need to change with them. Craig Carr doesn’t give you 101 pushy sale closes. He’s a sales and communication specialist, Co-Founder and Lead Trainer at Freedom Sales Academy, an Author, a Licensed Professional Business Coach, a certified NLP Master Practitioner, a certified DISC Master Practitioner and holds Diplomas in Advanced Body Language and Non Verbal Communication. Described as one of the most dynamic “how to” sales trainers available today, Craig can provide complete solutions to your immediate needs across every element of your business…and they work! Craig usually charges $15,000 – $50,000 to work with clients, but this event reveals the exact same methods to you for FREE! PLUS you’ll get access to Trish’s wealth of Virtual CFO and financial intelligence insight. DON’T MISS THIS VALUABLE OPPORTUNITY TO GROW YOUR BUSINESS! We have limited spaces, please act now to secure your spot! “With Trish’s session, I was really taken by the detail on the four different quadrants we live in.. how our beliefs in money change depending on our circumstances and how we act within those quadrants changes as well. It was a fantastic day, I really got a lot out of it, thank you very much.” Dave Morgan General Manager, LINK Business Broking. What have you got to lose? Register Now!